Your book is almost finished. Or perhaps it’s just crossed a finish line. Well done! You’ve worked long hours for it to come to life and know there should be a final touch. Of course, this is the cover design, because at first, we all judge a book by its cover. 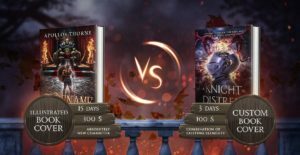 We have already highlighted the topic of choosing a good cover designer so, hopefully, you have made a choice and ready for your fancy book cover to grab the reader’s attention. So, what to start with and how to go through the process? We collected a few good tips on how to make it happen that will surely come in handy. Now, just sit back and we’ll walk you through! Most genres have some peculiar characteristics shaped long before you and me. Get acquainted with those and decide for yourself what you want the cover to look like. Then use your preferred style as a guideline for your designer. At least, you can look through our portfolio and get some inspiration. Prepare some examples of covers or art in the style you prefer. Your designer will definitely appreciate such a move. We know it’s really hard to do the latter when all you did for a past few months was thinking about your book. And now you are torn apart as the ideas rush through your head. But often the best thing is to calm down. And in our case let the designer help. You are more than welcome to express your ideas. Then be willing to listen to your designer who has a lot of experience and knows the trends. Together as a team, you will choose the concept that will make a difference and won’t be left unnoticed. Whether you’re a self-publishing author or using the services of a publishing house do not forget about their specific requirements. It will save you time and will ease the formatting of the cover. Getting all the needed information and providing it to your designer in advance will surely speed up the process. For instance, if you are publishing an eBook, provide the size. If you are up for printing, please specify the exact number of pages, type of paper and size of the full cover. Don’t forget to add the blurb, ISBN, and template if needed. Keep in mind that having a template will always decrease the number of revisions before publishing. Nevertheless, rest assured that a pro designer will always be able to format the book cover as you need. Don’t like the rush of the last minute? Neither do we. So, good time management skills are an asset for any author who plans on showing their talent to the world. Start working on your cover ahead of time to allow for extra revisions and tweaking. If you have a set deadline, do not forget to notify your cover designer of that. On the designer part, we will help you meet your deadline by sending you the files on time. You know your cover should be inviting and eye-catching. So, don’t be afraid to try something new, avoid the standard layout and play with the fonts and colors. The designer will grasp your ideas and make them come true. And don’t forget there’s a delicate balance though. Remember, you’re inviting the reader to open your book and spend lots of time either chasing dragons, discovering new worlds, diving into someone’s life or even learning how to make a fortune on Forex or Instagram. Decide what’s the most important and put it on the cover for your audience will read the rest. 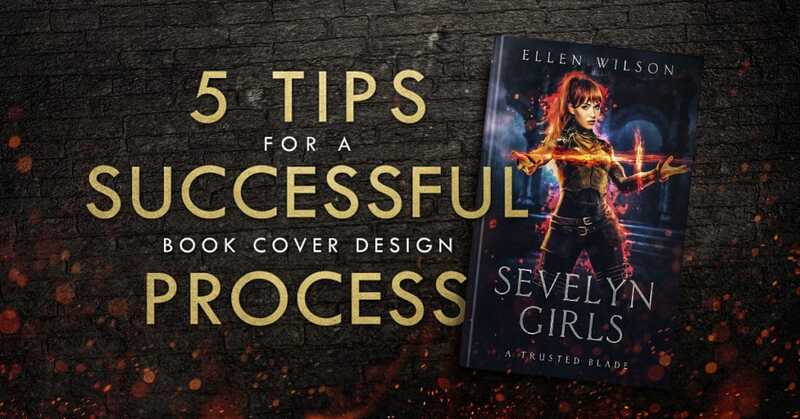 Hopefully, these tips help you to get satisfaction from the cover design process and complete it successfully. 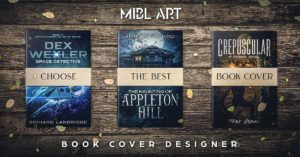 Be sure, we do our best to navigate you through the process of cover creating and make your dream book cover come true. Our designers will make the vibe for your cover so that the readers could feel the message. We love to help and you will definitely succeed as an author when following these short guidelines. Good luck and let’s get it started! 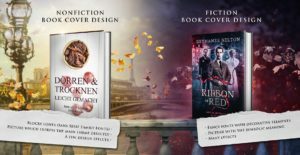 HOW TO CHOOSE A GOOD COVER DESIGNER FOR CREATING YOUR BOOK COVER? Custom book covers or illustrated covers. Who wins? 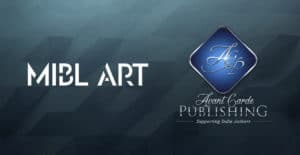 Success story of the new independent publisher in partnership with a book cover design company.